Hyderabad: The State government has commissioned the Massachusetts Institute of Technology (MIT) to conduct an impact study on the prestigious Rythu Bandhu scheme being implemented for farmers in the State. Sources in the Agriculture department told Telangana Today that the government was keen on not only assessing the impact of the unique programme on the farm sector and the lives of farmers but also getting feedback on the merits and demerits of the scheme. The research study, to be conducted through an Interactive Voice Response (IVR) system, is expected to reveal how the farmers in the State are utilising the crop investment support of Rs 4,000 per acre to increase their agricultural productivity, loopholes and irregularities, if any, in the implementation of the scheme, farmers’ responses and changes in their lives, among other parameters. The sample size for the month-long research study would be a whopping three lakh farmers in 120 mandals through random computer selection, the sources said, adding that the study would be taken up immediately after the completion of the week-long Rythu Bandhu cheque distribution programme scheduled to come to an end on Thursday. The MIT research wing recently met with State Agriculture Commissioner Dr M Jaganmohan and discussed the modalities of the survey. The MIT has been asked to submit interim reports to the government every 10 days before it presents a comprehensive final report at the end of the month. Rythu Bandhu, the brainchild of Chief Minister K Chandrashekhar Rao, was launched on May 10, and has already been hailed by agriculture scientists and economic experts as a path-breaking initiative that would go a long way in helping the farmers. Before zeroing in on MIT, the State government consulted several research institutes to take up the study. 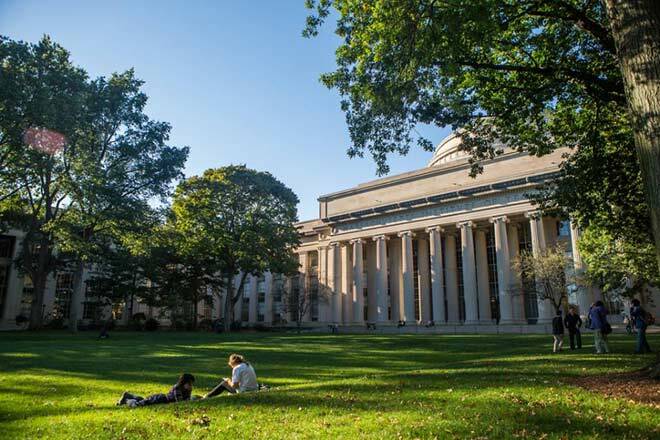 The research centre in MIT is well known for conducting various studies across the globe, and has, so far, carried out research on 565 poverty-alleviation programmes launched in 56 countries, including China and India. The State government was convinced that the MIT would be able to provide an accurate report on the unique scheme along with suggestions. After collecting feedback from farmers, research scholars, scientists and professors of the MIT will analyse the merits and demerits of the Rythu Bandhu scheme and submit a comprehensive report to the State government. Based on the MIT report, the government will bring about changes, if required, to strengthen the programme, the sources said. The agriculture department has named the feedback study as ‘High Frequency Monitoring Evaluation.’ The farmers will be asked 8-12 questions such as the amount they received under the Rythu Bandhu scheme, whether they paid any amount to get the cheques, how they utilized the assistance, were they happy with the scheme and their suggestions. The government believes that accurate feedback can be expected only if the research study is conducted by private research wings.